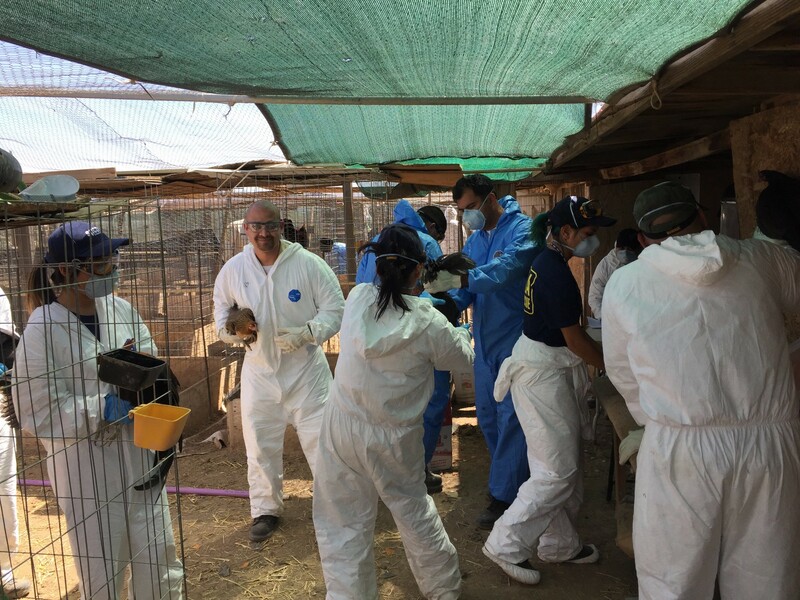 Los Angeles, CA – Society for the Prevention of Cruelty to Animals Los Angeles (spcaLA) assisted the Los Angeles County Sheriff’s Department Community Partnerships Bureau in serving a search warrant for an animal cruelty investigation involving the breeding and fighting of game fowl. This operation occurred on April 10th, 2018 on the 6300 block of East Avenue E, Lancaster California. spcaLA partnered with LASD to plan the operation and were also on the entry team. spcaLA Humane Officers were able to capture several dogs on the property to prevent the animals from being injured while the deputies performed their duties. spcaLA Humane Officers also assisted during the search and processing of evidence. Along with humane officers, members of spcaLA’s Disaster Animal Response Team (DART)™ provided support for the operation. In addition, the Central California SPCA also sent Humane Officers to assist. Several people were detained and questioned, however, no arrests have been made. The investigation is ongoing and there is no additional information available at this time. Anyone with information about this incident is encouraged to contact Community Partnerships Bureau at (323) 981-5300.